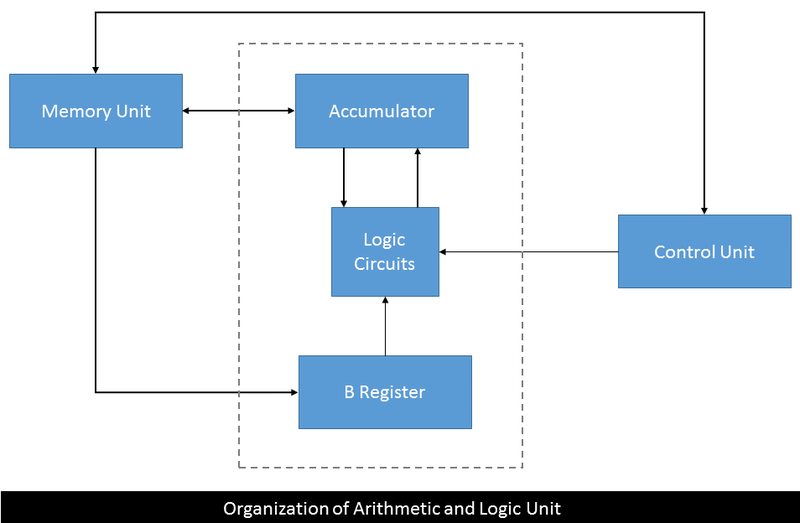 Arithmetic and Logic Unit is a like a calculator to a computer. ALU performs all arithmetic operations along with decision making functions. In modern CPU or Microprocessors, there can be more than one integrated ALU to speed up arithmetical and logical operations, such as; integer unit, floating point unit etc. Various circuits are required to process data or perform arithmetical operations which are connected to microprocessor's ALU. Accumulator and Data Buffer stores data temporarily. These data are processed as per control instructions to solve problems. Such problems are addition, multiplication etc. Additions, multiplications etc. are example of arithmetic operations. Finding greater than or smaller than or equality between two numbers by using subtraction is also a form of arithmetic operations. Operations like AND, OR, NOR, NOT etc. using logical circuitry are examples of logical operations. Operations such as flushing a register is an example of data manipulation. Shifting binary numbers are also example of data manipulation.